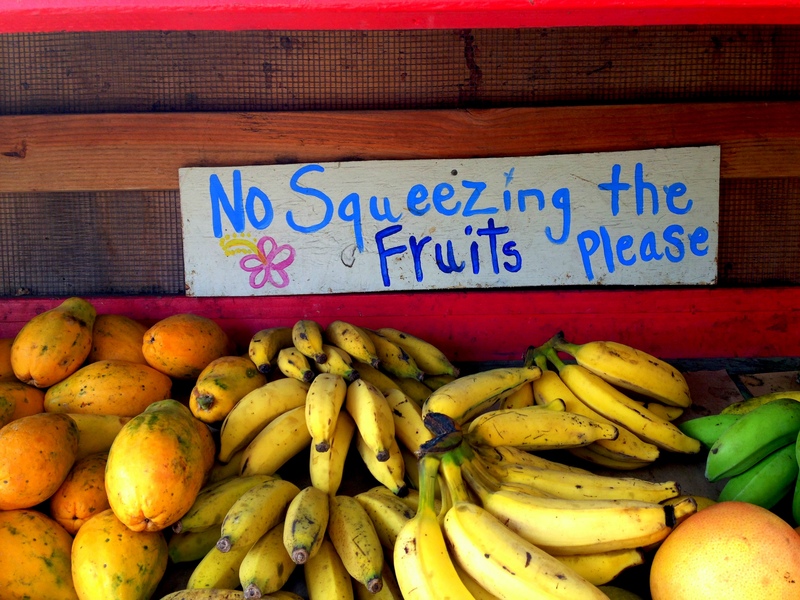 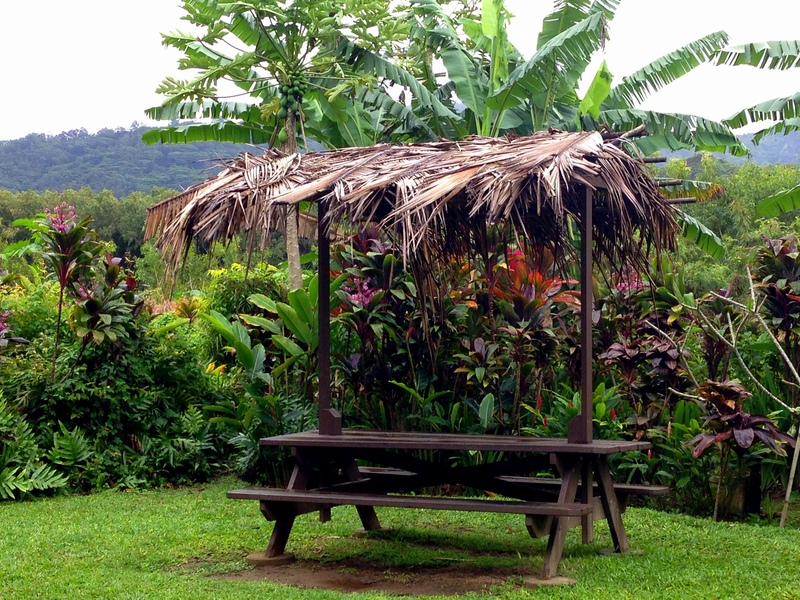 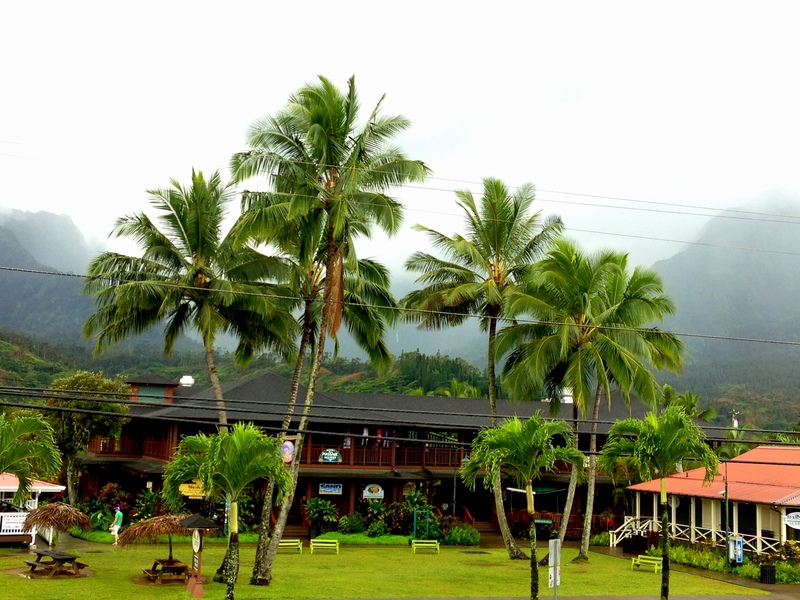 Hanalei Town, a charming little place was our everyday destination while staying on the North Shore of Kaua’i. 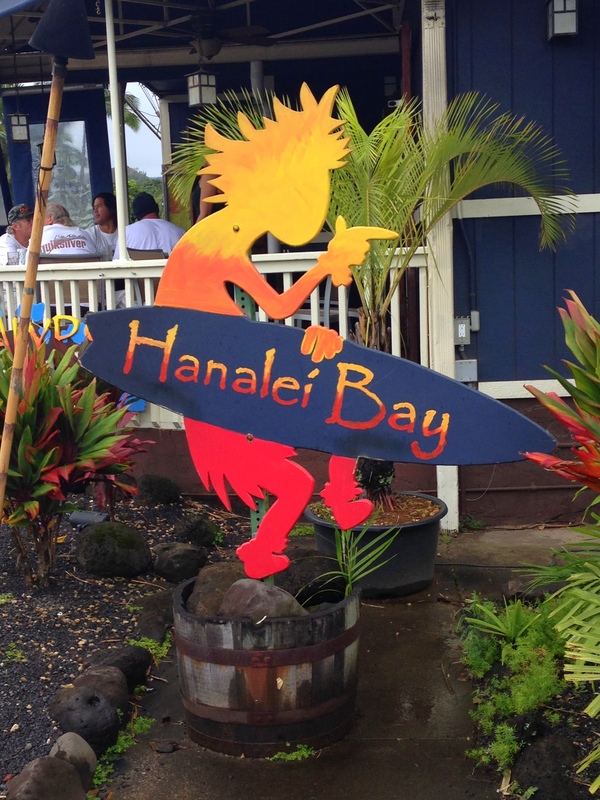 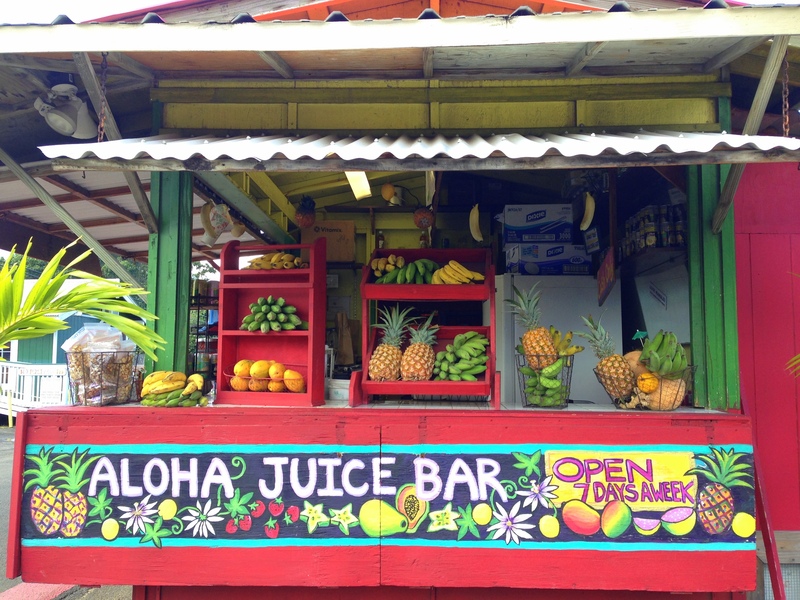 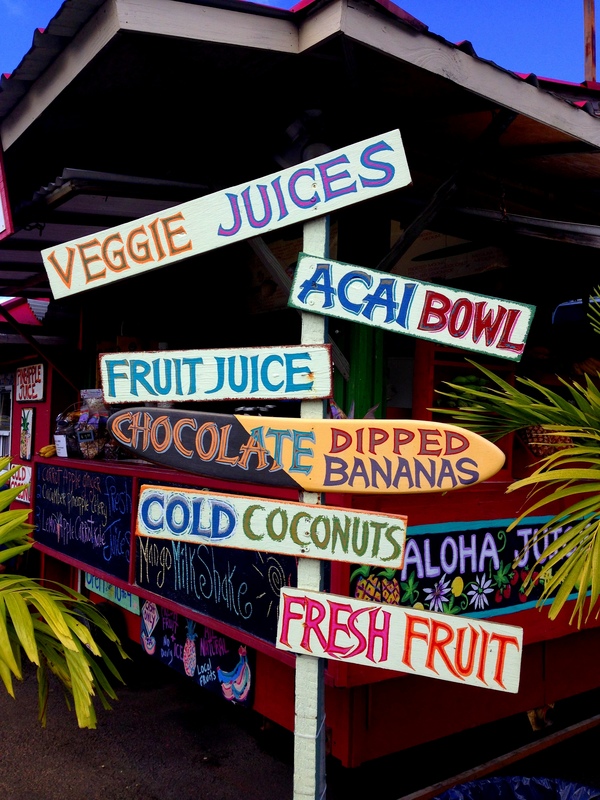 Around 10 minute drive from our house in “heaven”, Hanalei housed great restaurants, coffee roasting house, little shops, SPA’s, healthy food corner, food stores, fruit stands and little galleries. 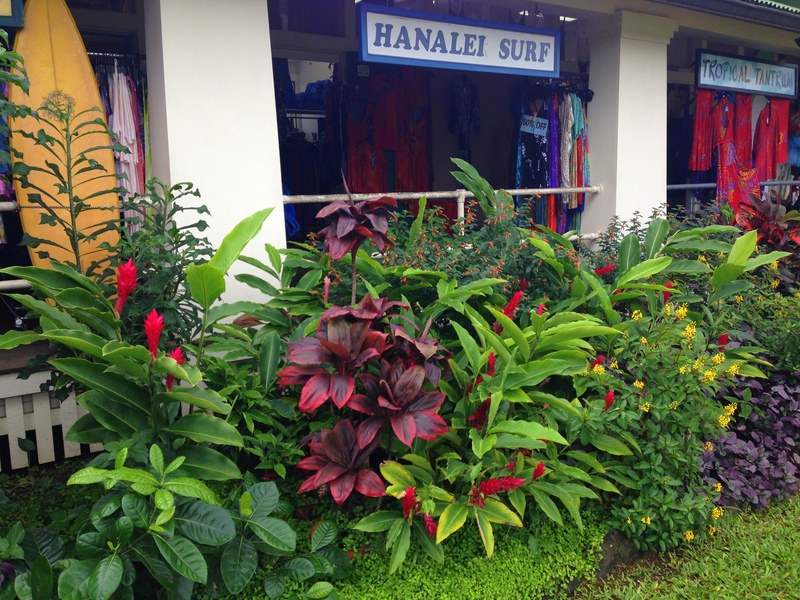 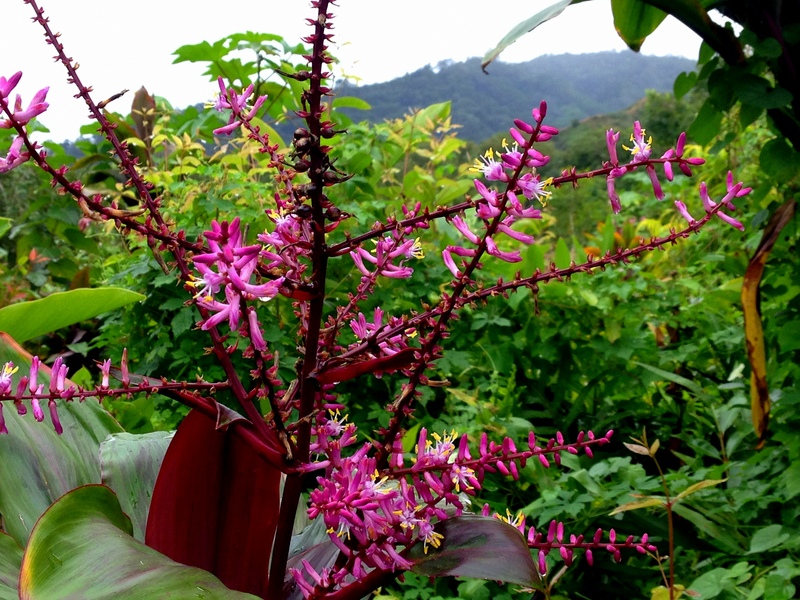 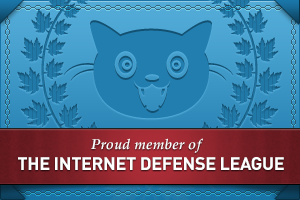 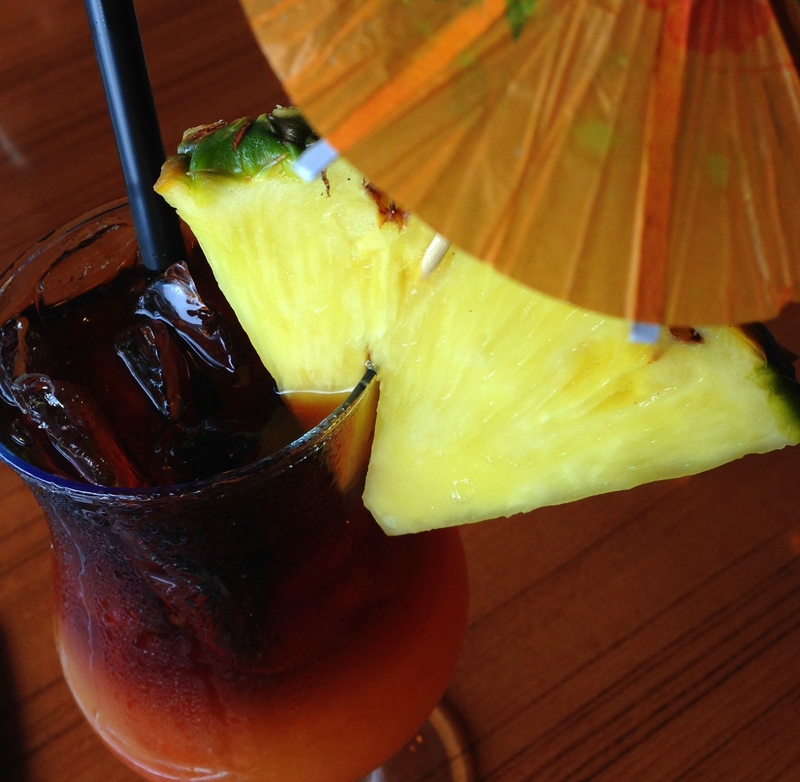 Surrounded by a wonderful Pacific setting, Halanei can’t be missed nor forgotten. 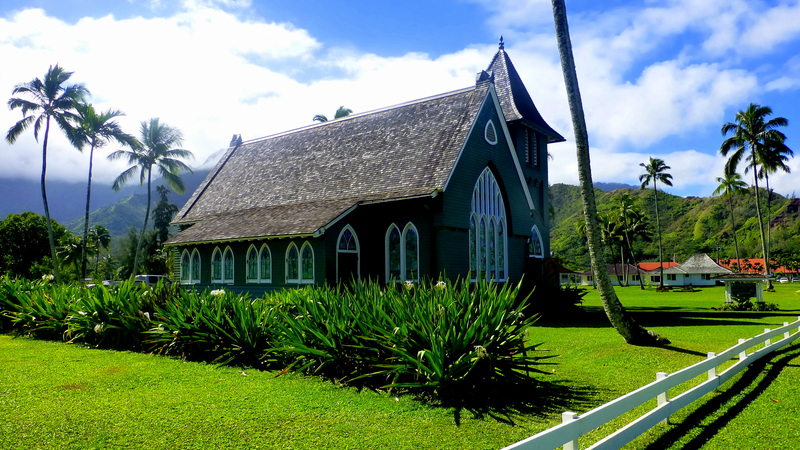 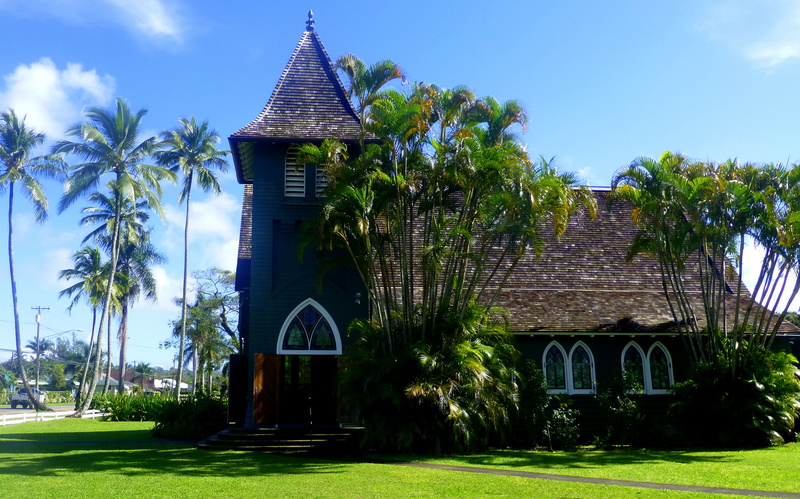 Every time we drove into the town, we past this beautiful Wai’oli Hui’ia Church – “i ka poli o Hanalei – in the heart of Hanalei”. 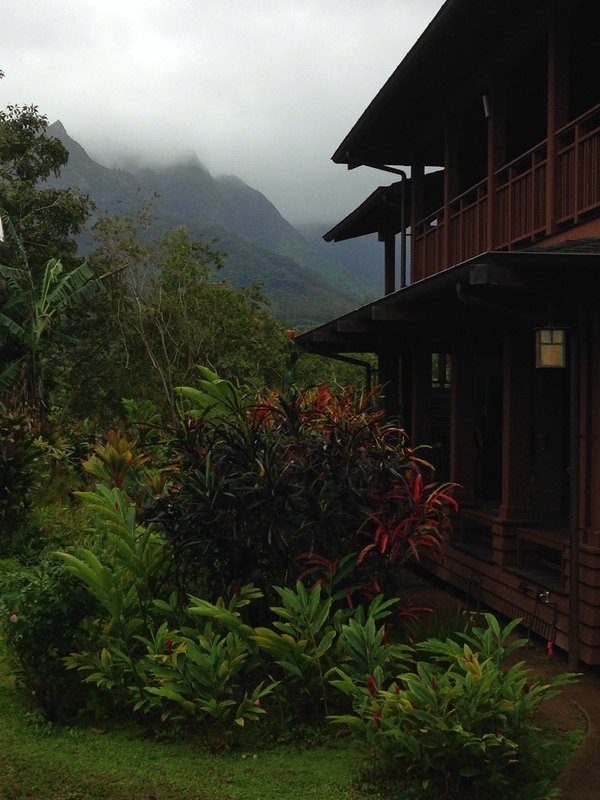 We were blown away by the stunning setting. 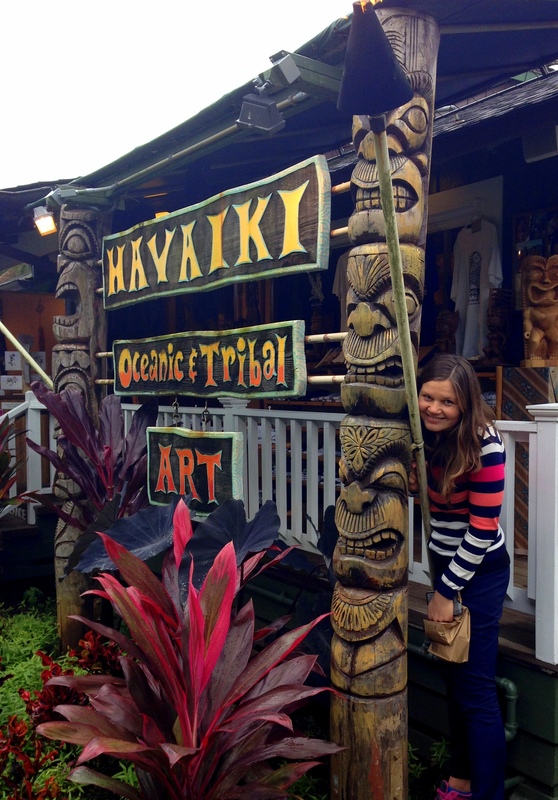 One day, actually on our last day on the North Shore, we decided to have a look around. 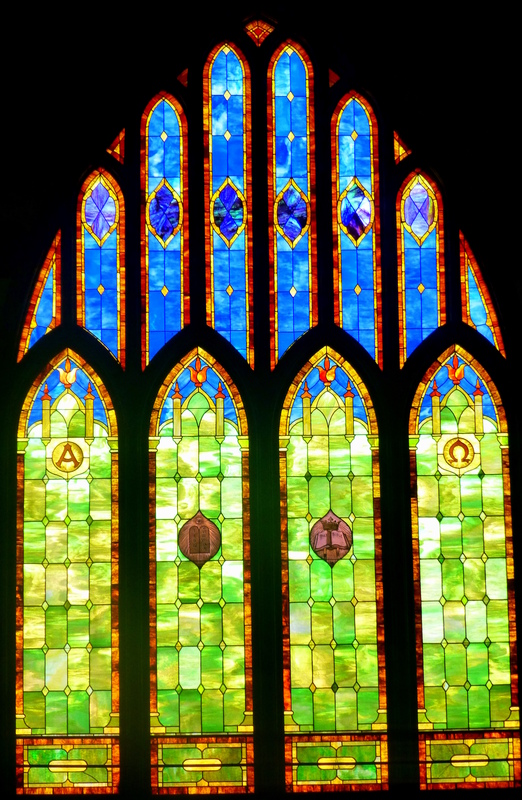 The chapel is beautiful, especially the colourful and abstract stained glass. 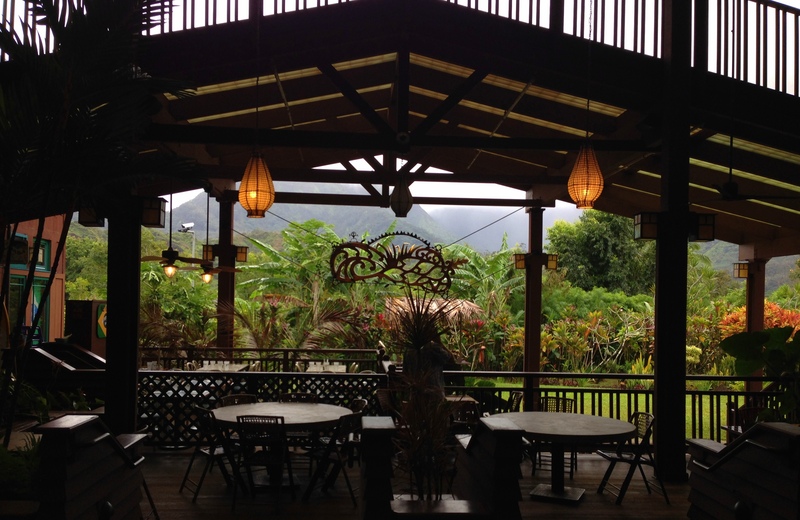 I had my best double espresso shot in the Hanalei coffee roasters house.